The friction bushing of an (older) Sram rear derailleur clutch is shown below. What type of polymer material are these made out of? I'm also interested to know what friction materials are used in the clutches of derailleurs from other brands, such as Shimano, etc. 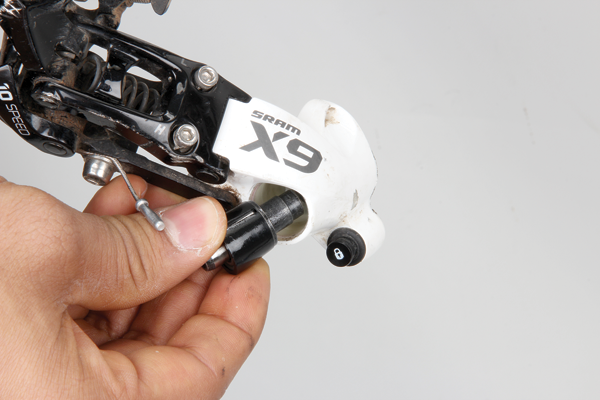 Browse other questions tagged mountain-bike derailleur technology or ask your own question. First time buying parts ( derailleur, chain, rear axel, shifters) need help! Claris front shifter with mtb derailleurs? What freewheel mechanism designs are used in bicycles?